Mercedes-Benz is world famous for their excellence in automotive design, and nowhere is that more apparent than in the top-of-the-line new Mercedes-Benz S-Class Coupe. The S-Class is the luxury model all other coupes look up to, which boasts cutting-edge technology like like a high-resolution 12.3-inch Panoramic display for you to interact with the advanced COMAND® Navigation system. And that’s just the tip of the iceberg—check out our inventory below, and then read more about everything it has to offer! Comforting Atmosphere: In the S-Class, you’ll have access to heated and ventilated front seats, as well as optional “hot stone” massage and aromatherapy features for a soothing cabin experience. MAGIC SKY CONTROL®: Treat yourself to a panoramic roof view with a variable tint, all controlled by this technology. Exquisite Upholstery: Each of the coupe’s four seats is wrapped in sumptuously tailored Nappa leather, lit up by multicolor ambient LEDs. 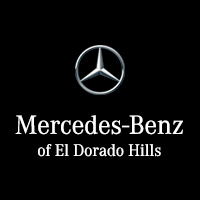 If you want to feel the thrill of a new Mercedes-Benz S-Class coupe for yourself, schedule a test drive right here at Mercedes-Benz of El Dorado Hills. Our flexible financing options and friendly sales staff make buying the vehicle of your dreams a breeze. Stop by today!